I'll be honest: my reaction to this episode was, "Ugh, this show." Usually when I say 'ugh, this show,' I mean it as a compliment. It means 'wow, this show is amazing. It's doing a great job, and I'm emotionally invested.' Unfortunately, when I say 'ugh this show' with The 100 lately, I've actually meant it literally. The last time I checked, 'showrunner' indicated pulling the show forward, not driving it into the ground. Unfortunately, the longer the show airs, the worse it gets. Let me explain. In season one, we had a diverse cast of amazing people. We had plots and storylines that were cohesive. We had beautiful character development and beautiful characters. Remember when Stephen Moffat first took over Doctor Who and everyone went, "Yes! This is fantastic! He writes gut-wrenching plot lines and ties our emotions in knots!" Remember when it was announced that Stephen Moffat was being replaced, and everyone went, "Oh, thank goodness. We used to think he was great, but then we realized his empire was built on plot holes and stereotyping"? The same thing has happened with Jason Rothenberg and Kim Shumway. When they began, they gave us a very good show because, I think, they were in new territory. However, as we began to see toward the end of season two, they began to get full of themselves. They became corrupted by their showrunning power, as it were. It started small, with open confessions like, "Oh, the fans wanted Bellarke so we decided not to give it to them this season." Now we've just had a well-beloved character killed because the actor was bullied off the show. It's beginning to come apart at the seams. It legitimately appears that, in an effort to imitate Game of Thrones (and other pop culture), The 100 is selling its soul. Tight writing is being replaced with sloppy writing and last-minute changes. In an effort to seem 'edgier,' good plots take unexpected and bizarre turns that make viewers go, "Wait…that doesn't make sense. What?" I used to love this show. 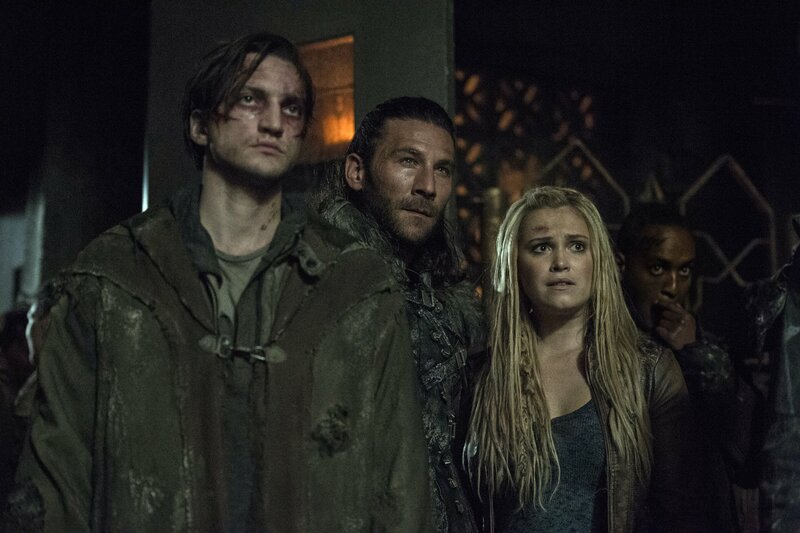 Now, I'm only around because we have Zach McGowan's acting prowess (even if he's only guest-starring this season) and hopefully a redemptive arc for Bellamy (since he needs it after his character undevelopment this season). I can give or take the rest of it. I started because I cared about the characters, but I care less with every episode, and it makes me sad. Can someone call Kripke and put him in charge? He might be the only one who can save this thing. What do you think of the direction the show has taken? Do you like it, or do you agree it's falling apart?